Usage Percentage is defined by Basketball-Reference as “An estimate of the percentage of team plays used by a player while he was on the floor", and is calculated by the following formula: 100 * ((FGA + 0.44 * FTA + TOV) * (Tm MP / 5)) / (MP * (Tm FGA + 0.44 * Tm FTA + Tm TOV)). Fortunately, you'll never have to calculate these numbers yourself (unless you want to). These numbers can be found at the above website, and can also be somewhat subjective depending on the site, but are generally within 1-2% of each other. These numbers give you a good idea of how often a player is involved in the offense. For instance, Russell Westbrook led the NBA with a 38.4% usage rate in 2014-15, meaning that he was the most utilized player in any offense in the NBA (some of that had to do with injuries to Kevin Durant). Any player with a usage rate over 20% is a player that you can count on to be heavily involved, and each player in the top 10 of usage last season owned a usage rate of at least 26.9% (Damian Lillard was 10th). Knowing how to utilize this information is key. If you know which players will be heavily involved, you can target them with confidence, knowing that they will see ample opportunity to rack up fantasy points. Also, as mentioned with Westbrook earlier, injuries can have a significant impact on Usage Percentage as well. A great source of this information, and who sees a big increase or decrease in usage due to injury, is NBAWowy. Defense vs. 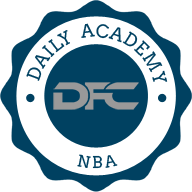 Position statistics, or DvP, can be crucial in your daily NBA research. These numbers indicate how many fantasy points each team allows to a specific position. You can utilize these numbers to find value plays, elite matchups, and determine which players have the highest ceiling and/or floor. However, it is important to take into account each site's scoring when looking at these numbers. FanDuel and DraftKings have slightly different scoring, especially with 3-pointers, turnovers, and rebounds. Knowing which site the numbers are for is essential. Individual matchups will determine a lot, but understanding how an entire team defends a position will help you go above and beyond in your research. For example, the Los Angeles Lakers were the worst team in the NBA at defending the PG position. Once you have seen these numbers and they remain consistent over a few weeks or months in an NBA season, you can rest assured that you've found an accurate view of a team's defense. Once you have done this, you can find players who are facing this specific team and take advantage of the great matchup, even when the player who is facing them wasn't originally a player you were considering. It is important to research every angle possible, as that is what will set your lineups apart from the field. Pace is an important statistic to be aware of when you're doing your NBA research. The formula for calculating pace (don't worry, this is another that you won't need to calculate manually) is8 * ((Tm Poss + Opp Poss) / (2 * (Tm MP / 5))). Simply put, pace is the estimated number of possessions per 48 minutes for each team. A team with a higher pace is one that is looking to push the tempo, which will lead to more scoring opportunities, not only on offense, but in rebounds, assists, blocked shots, and steals as well. A team that has a slower pace is one who likes to slow the game down and play a half-court game. Targeting players from teams who play up in pace is key in NBA DFS. More possessions = more opportunities to meet and exceed value. Targeting players from teams who play down in pace is a losing long-term proposition, as they will have less opportunities to reach and exceed value. 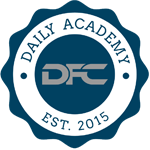 Consistency is a subjective statistic from a DFS standpoint. The reason for that is you need to account for the player's salary in order to determine their consistency. For instance, if you are looking for a player for your cash game lineup, you want the player who is the least likely to throw up a “dud" or have a disappointing performance. One way to do this is to look at a player's salary on a given night, then determine their value threshold. 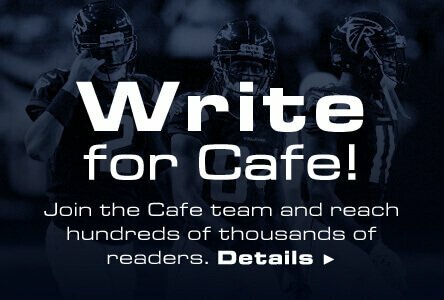 You can use the projections at Daily Fantasy Café to determine if a player reaches their value, then see how much they beat their projection by on a given night. A player who consistently reaches or exceeds value is the type of player you want to roster in your cash game lineup. Another way to say this is that he has a high “floor". Utilizing a spreadsheet is a great way to have these numbers at your fingertips each night. You can take an old-school approach and dig into the numbers on each given night, thus determining a player's consistency and return on value. Conversely, you can scrape data and pull in results that will tell you not only how often a player reached value, but if they returned 4x, 5x, even 6x on their salary. Players who have the potential to return 6x (or more) value on their salary make for elite GPP plays, due to their high upside or “ceiling". These are a few advanced statistics you can look at for an added edge in your NBA DFS contests. Not every DFS player is created equal, and each one of us has a unique approach to each slate's research. Implementing these strategies and statistics will help you become a more well-rounded player and give you an additional edge over your opponents.